Jonathan offers a variety of services as a teaching artist. Classes in mask performance as well as workshops in mask making have been offered to students throughout the United States and in Europe. He also offers course work in movement for actors, physical comedy, acrobatics and unarmed combat. Some of the pre-designed workshops and lecture-performances are listed here. As with everything Jonathan does, custom workshops and residencies can be created to fit your training program or organization. 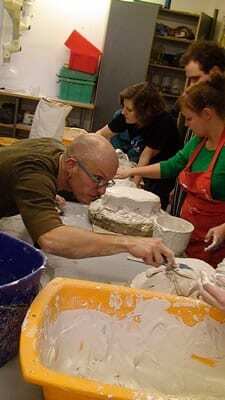 Go here for a schedule of current workshops and residences. 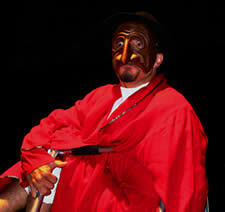 Introduces the Commedia dell’Arte as a 21st Century form of expression. 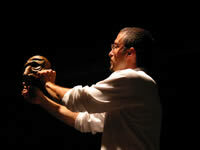 Introduces the audience to the living sculpture of the theatre mask. 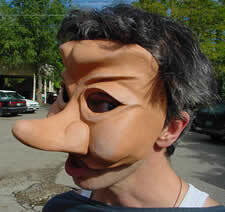 Comedy masks of The Commedia dell’Arte, Masks in the style of The Swiss Carnival of Balle, and full-face expressive masks, all created by the lecturer, are demonstrated. 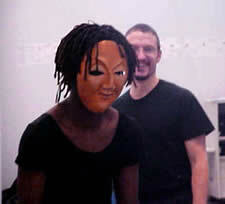 Addresses the pedagogical approach of The International School of Theatre Jacques Lecoq and the importance of mask and movement training. 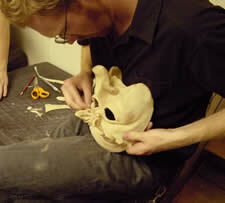 Students learn how to create the living sculpture of a theatre mask. Physical training for the actor following the techniques developed by Jacques Lecoq and Jerzy Grotowski. Simple acrobatics, strength and flexibility training, falls, breath and focusing exercises, the plastiques, the corporals and pantomime techniques.